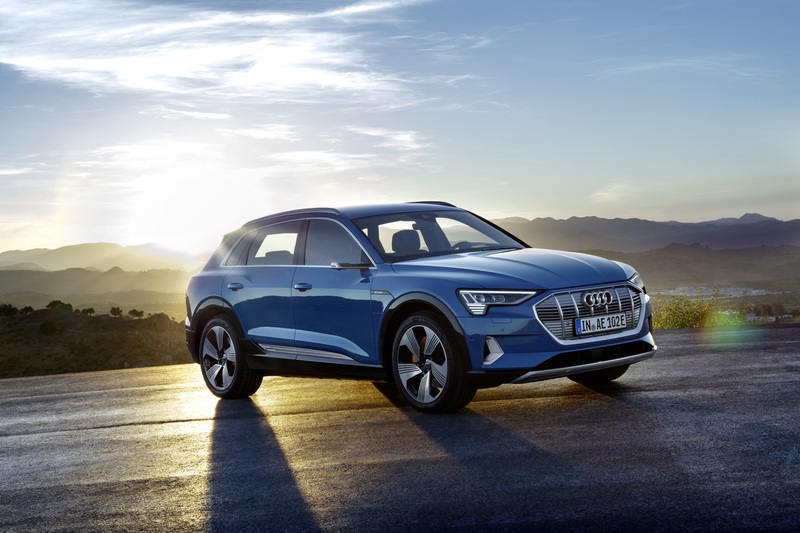 THE spark for the transition to a new era of fully electrified driving at Audi is about to fly – the e-tron SUV becomes available to order in the UK today in two forms – e-tron and e-tron Launch Edition – priced at £71,490 OTR and £82,240 OTR respectively. The electric charging flap integrates a connection for AC and DC charging. A steady green light means charging is complete. Technology not surprisingly takes centre stage throughout the e-tron – the MMI touch response concept that first introduced intuitive touch-screen functionality into the latest A8 and is gradually progressing through the range is naturally the advanced operating system at the heart of this car. Haptic feedback and voice control enhance its functionality, and it perfectly complements the fully digital instruments in the binnacle that form part of the standard Audi Virtual Cockpit. In the Launch Edition this incorporates two supplementary ‘e-tron’ and ‘Sport’ layouts offering additional functionality. The Audi Smartphone Interface, Audi Phonebox wireless handset charging, MMI navigation plus and internet-based Audi connect infotainment services are of course included for both versions, as are assistance systems including the Audi Parking System Plus with 360-degree display and rear-view camera and Lane Departure Warning. 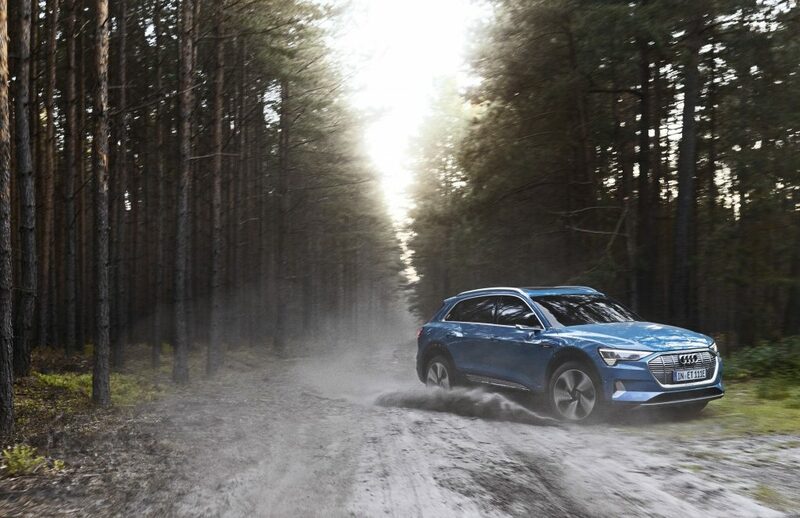 In the e-tron, 20-inch 5-arm dynamic alloy wheels and LED headlights deliver appropriate visual impact, while the Launch Edition upgrades to platinum-look 21-inch Audi Sport alloy wheels and intelligent Matrix LED headlamps enabling diversion of the light beam around surrounding traffic. 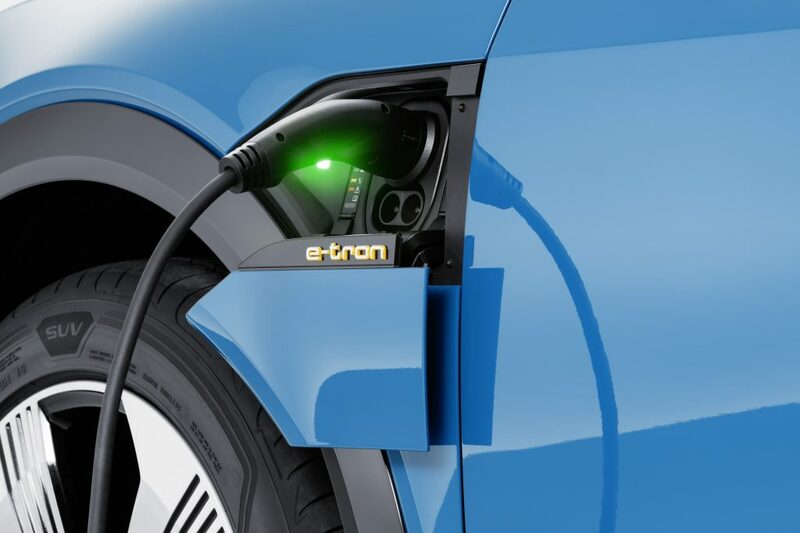 The e-tron’s conventional door mirrors also make way in the Launch Edition for distinctive camera-based units transmitting images of the driving environment to two OLED interior displays. Visual hallmarks specific to the Launch Edition also include a black styling pack taking in the Singleframe grille surround and window cappings and privacy glass extending from the B-pillar rearwards. 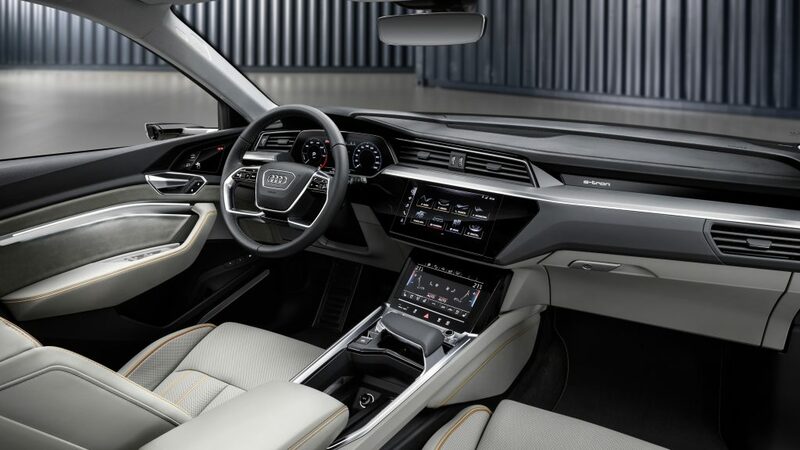 Inside, the e-tron’s Twin Leather upholstery is replaced by premium grade Valcona hide, and features such as a panoramic glass sunroof, electric steering wheel adjustment and a comfort remote preconditioning system further enhance life on board. 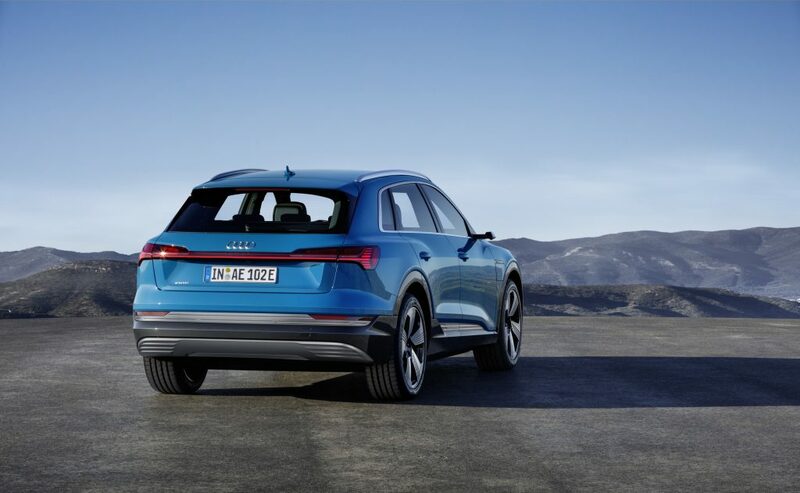 The latter enables the driver to remotely activate the cabin air conditioning to pre-heat or pre-cool the cabin via the MMI or the free myAudi smartphone app. Seat heating and ventilation, steering wheel heating (if fitted) and window heating can also be switched on in this way well before a journey begins. For the past two weeks the e-tron has been available to order for prospective e-tron owners who took advantage of the Audi UK deposit scheme. These depositors have been given exclusive early access to the two e-tron variants, and also a third, the Edition 1, featuring an exceptional specification that goes beyond the Launch Edition. A total of thirty examples of the Edition 1 are earmarked for the UK, all of which have now been reserved.